The accident shut down eastbound lanes of the Long Island Expressway for nearly 7 hours, police said. 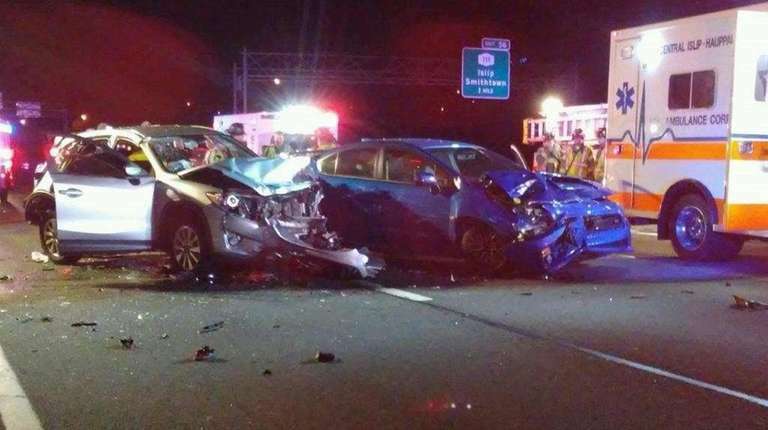 A West Islip man has been charged with driving while ability impaired after a five-car crash on the Long Island Expressway Friday night sent two people to the hospital, Suffolk police said Saturday. Just before midnight on Friday, West Islip resident Charles Healy, 56, was driving a Dodge truck east on the LIE between exits 56 and 57 in Hauppauge when he struck a Mazda driven by Hamilton, Ontario, resident Jerzy Grochowicz. The initial collision caused Grochowicz, 54, to crash into a Subaru driven by Brentwood resident Brian Garcia, police said. Garcia, 25, then crashed into a Jeep driven by 45-year-old Medford resident Eric Veilleux, who then hit a different Subaru driven by Siobhan Atkinson, 58, of Hauppauge, police said. The incident forced authorities to close the eastbound LIE lanes for several hours. The lanes reopened Saturday morning. Three of the drivers involved in the crash refused medical treatment at the scene. Grochowicz and his wife, Malgorzata, 55, were sent to Stony Brook University Hospital and treated for serious injuries that were not life-threatening. Garcia and Healy were sent to separate hospitals and treated for minor injuries. Healy was arrested and charged with driving while ability impaired by the combination of drugs and alcohol. 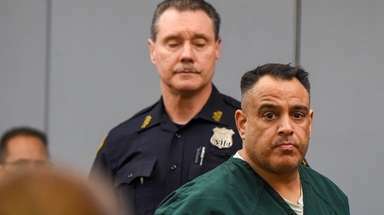 He was held overnight at the Fourth Precinct and was held on $20,000 cash or bail at arraignment Saturday at First District Court in Central Islip, according to online court records. His next court appearance is scheduled for Wednesday.